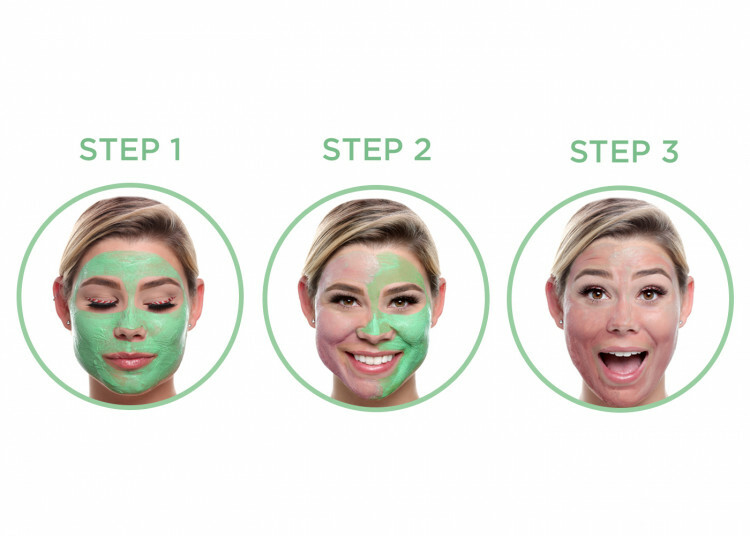 Illumination Presents Dr. Seuss' The Grinch™ Grinch Stole My Look… a Color-Changing Skin-Perfecting Mask that helps purify and brighten the appearance of dull-looking skin by removing impurities in under 15 minutes. Change up your beauty routine with a Color-Changing Skin-Perfecting Mask and watch your mood soar! Inspired by Illumination’s sweeping new version of Dr. Seuss' The Grinch™, this peppermint-scented face mask is sure to help improve your mood — and the appearance of your skin — in just 15 color-changing minutes. Just-in-time for the holidays, this innovative Skin-Perfecting Face Mask is formulated with skin-nourishing Energy Complex and a hydrating combination of Sunflower Seed, Jojoba and Olive Oil that help moisturize the skin. Licorice and Sugarcane Extract work together to help purify and brighten the appearance of skin. 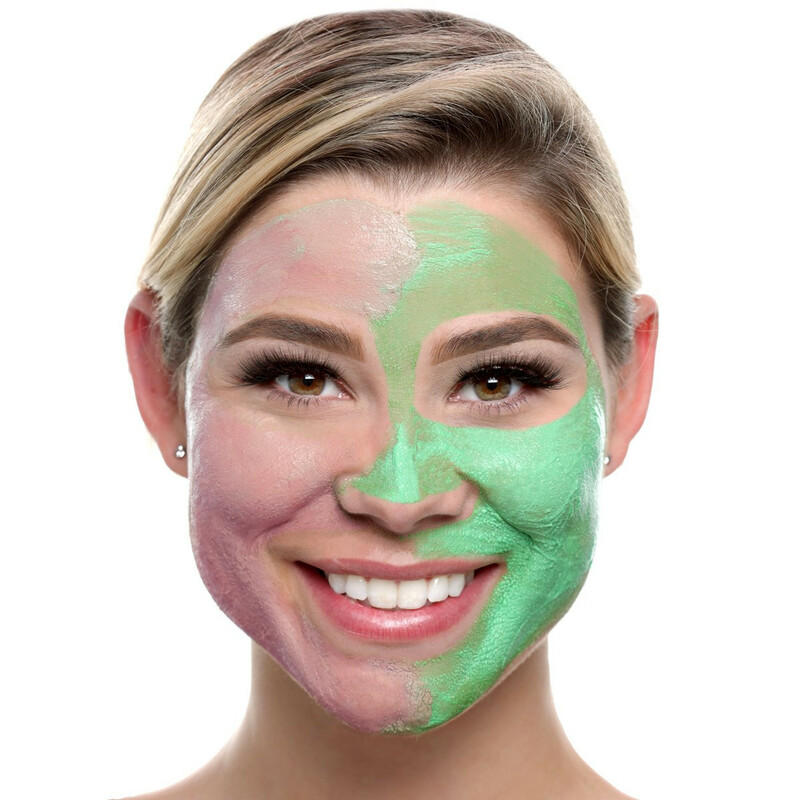 As you massage it into your face, watch as this unique, feel-good, creamy face mask magically changes color from green to pink, so you know it’s working to thoroughly cleanse skin of impurities for a renewed skin appearance that radiates! Increase your glow before a party, or do damage control when you arrive home — your skin will thank you! I loved how refreshing it felt on my skin. It was easy to apply and take off. The smell was invigorating. My skin felt so soft and smooth after using it. This stuff is amazing. I only wish the bottle was bigger. Would love to see different scents and colors. This made a perfect gift for my mom on her birthday stuf she loved it! This mask smells amazing almost like and Andis Mint. I love the color change effect. When you apply the mask it’s also exfoliating some. Skin feels so smooth after using. Lived how my skin looked and felt after using this clay mask. This mask was simply amazing! It went on smoothly and the peppermint scent was a nice touch. When I washed it off, my skin was incredibly soft and it stayed that way overnight. This is truly a fantastic product! Absolutely love it! Very refreshing and leaves skin feeling clean and relaxed. Love the way it changes color. Yes I would recommend it. Skin feels great after using this mask, however it does burn for the first few minutes. Wouldn’t recommend for sensitive skin. The mask feels nice, but I didn't notice any difference in my skin. I love this. Didn’t even know pur and my favorite movie collaborated until I walked around Ulta. I hope to buy the brushes and wasn’t even thinking of the other face mask in ornament packaging set- but after trying this one... so want it!!! This goes on green all over the face but as you rub it around your face it turns pink. I let it sit a little more than 15 mins due to laziness of not wanting to get off bed. I used a wet towel to remove the product. I did get some on my eyebrow, which direction does state keep it away. However, it didn’t tint them, I carefully removed it- still, would follow their warming not to. You never know! As I removed it, I saw my face was looking brighter and fresh. I hope they have a nonlimited version when this one goes away. I love the peppermint scent too! Definitely recommend! Packaging, the box is gorgeous and what holds this product can be removed so you can store stuff inside the box. I have never had or seen any packaging so beautiful like this one since I started being obsessed with holiday makeup.